Boerne Tree Service Pros are professional tree care experts for all your commercial and residential tree services. We provide expert tree care services for Boerne, San Antonio, Helotes, Fair Oaks and the surrounding areas. 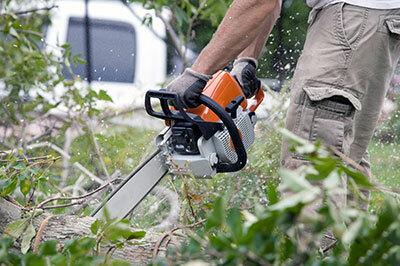 Our tree services include tree trimming, tree pruning, tree and stump removal and land clearing. 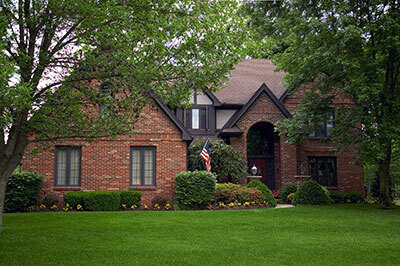 Our certified arborist can also assist with tree fertilization and preservation of existing trees. We offer free estimates for any residential or commercial tree care service. Call the ﻿﻿best tree service in Boerne﻿﻿ today! 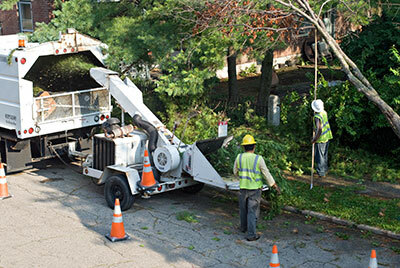 Most forms of tree service are a very technical type of job and should be handled by professionals. Since trees are alive and not just inanimate objects, every task becomes that much more complicated – improper trimming or tree handling can actually make the tree sick or even cause it to die. An unhealthy tree (often made such by poor handling) will be a breeding place for fungus and bacteria which will only serve to accelerate its decay and make any restoration more difficult, if not impossible. This is why you should give Boerne Tree Service Pros a call for any type of tree and land-related work you might need done. Trees are a treasure in both urban and rural environments, but they can easily become a bother and a difficulty if not properly cared for. 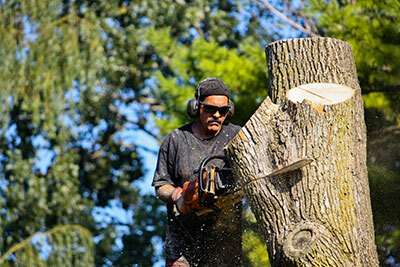 We specialize in tree service work of all kinds, both for residential and commercial clients. Our varied services are available to customers in Boerne, New Braunfels, San Antonio and any other surrounding area that might need our intervention. Boerne Tree Service Pros also make interventions of any scale, from minor visual alterations to removal of whole trees, including the stumps. Despite their famous strength and longevity, trees still need a good bit of work every now and then. When it's time to cut those branches or clear that moss, the only way you'll know the job was done properly is if you have it handled by someone with years of experience and lots of positive feedback from satisfied customers. Part of what makes Boerne Tree Service Pros so good at what we do is that we treat each tree differently, taking into account its age and surroundings before doing any work. In urban settings, looking good is most often a tree's primary purpose. Few things can complement all that brick, mortar and concrete as much as some strategically-placed trees that create a perfect mixture between nature and civilization. Problems arise when these trees start overgrowing in a way that impedes the daily functions of the residents in the area. A tree becoming larger-than-life can even pose a significant hazard to nearby people and structures, which is why tree trimming should be done regularly in order to properly direct its growth. Many of our customers simply want their tree looking differently, and if you have such needs, don't hesitate to call us. However, care must be exercised in order to avoid over-trimming the tree, as this can actually injure it and make it sick, making way for rampant fungal growth. Every tree's natural shape and form should be cherished, with only minor cosmetic alterations done to bring out its best appearance. Our functional trimming jobs often deal with the removal of lower branches, as these tend to attract birds or even insects that can make an area less hospitable for people. Removal of lower branches will also allow sunlight to better penetrate through the tree, making the land around it healthier and better-equipped to host plant life. ​Most things in life need some form of maintenance in order to stay in shape, and trees are no different. Since a tree is an ever-changing organism, it needs to be monitored to ensure everything is going the right way. Pruning is done on all trees, regardless of their size and age. When performing this service, we'll remove dead and broken branches, as well as those that block out sunlight. As is the case with trimming, pruning needs to be done carefully in order to avoid removing too much of a tree. Inexperienced DIY pruning will often result in additional issues as the person cuts off healthy branches that should have been left alone. If you noticed broken or unhealthy-looking branches on your tree, that's great – now let us deal with them for you. When we prune your tree, we'll also assess its overall condition to determine how much additional work needs to be done. While you might have called us for regular maintenance, we could find a host of other issues with the tree as we remove unnecessary branches. If you're unsure how often your tree needs pruning, get in touch with us and we'll create a schedule that will best promote your tree's health and growth. We never take the complete removal of any tree lightly. We firmly believe that trees should only be removed when all other options (such as extensive pruning) have been exhausted. 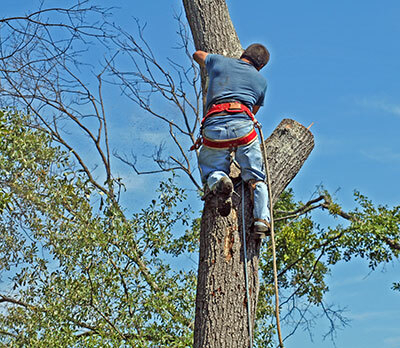 Tree service companies will sometimes jump to the opportunity to remove a tree as it can be a costly procedure. Not only that, but tree removal sometimes takes just a fraction of the time that careful pruning would. Of course, we are always ready to put in the extra work to save your trees, but sometimes it simply isn't doable. When a tree has grown too diseased or has died, removing it is the best and safest option. Tree removal can be very dangerous when done by someone who lacks experience – certain trees can weigh up to several tons, and falls in the wrong direction can be disastrous. 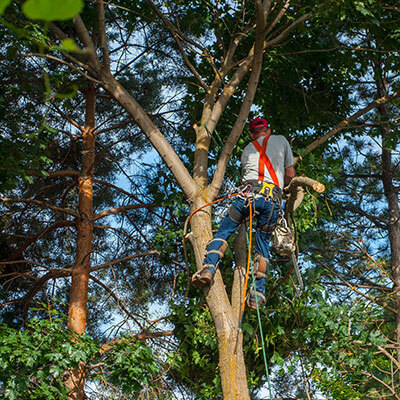 With Boerne Tree Service Pros, you won't have to worry – if the condition of your tree is unfortunate enough to warrant removal, you can be sure that we will do the job right. We specialize in the removal of trees of any size, as well as those in any environment, including those that are the most vulnerable. As anyone who's ever tried it knows, removing a stump is nearly impossible without the proper tools. The tree's roots are remarkably strong and are difficult to pull from the ground with even the smallest trees. Whenever a wind causes a tree to fall, you can count on it being broken somewhere along its body rather than being pulled out from the ground. No man (or even machine) has the kind of strength to pull out a large tree stump and its roots from the ground. 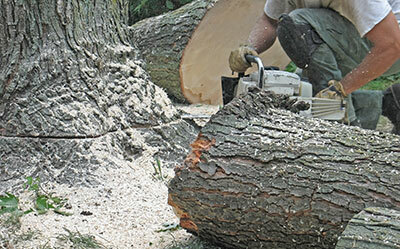 ​Instead, the best way to remove stumps is by using a special machine that will grind the stump into sawdust. The roots themselves are ground up as well, although they can be pulled out once the stump is gone in a select few cases. Tree stumps are unsightly and have a way of preventing any serious work from being done on-site. In order to avoid attracting any attention to an unfinished job, any tree removal should be followed up with professional stump removal. We will extract every last bit of the stump and its roots, leaving the soil pliable and ready for any new venture you might want to undertake. Ball moss is one of those things that can be ignored until it can no longer be ignored. Depending on the environment, ball moss can spread exceptionally fast and even away from the tree and onto man-made structures. In and of itself, ball moss is harmless both to the tree and the people around it. However, the harm can often come in people's attempts to remove it. Worse yet, it can spread to electric wires – in these cases, you must avoid any attempts to remove it yourself and give us a call right away. The best way to deal with ball moss is to keep it in check from early on. If you haven't been able to do so for whatever reason, we'll be happy to scale back the problem and bring it down to where it's easily manageable by you. 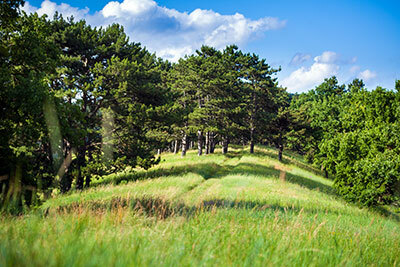 ​We definitely do specialize in caring for trees, but that doesn't mean we aren't ready to help with other types of land work you might need. Trees are but one example of natural growth that can both be welcome and unwanted. Shrubs, weeds, tall grass... all of these can make an area difficult to work with, and each can reach a point where removal by an expert is the only choice. We perform both residential and commercial land clearing of any magnitude and in any location in and around Boerne and San Antonio. Do you have a farm that's been dealing with overgrowth and would like it trimmed down and prepared for work? Boerne Tree Service Pros will be happy to make the surface welcoming to productivity. Are you getting ready to build on a site, but are concerned about removing tick-ridden tall grass and other forms of natural growth? We'll prep the site up and have it ready for building in no time. Land clearing can be difficult and even dangerous when done on your own. By letting us do it, you'll be able to focus on whatever pursuits you'll use the land for once it's flat and free of pests and obstruction. We realize that sometimes, waiting until the next morning or Monday isn't feasible. For these cases, we offer emergency tree service to our clients so that they might call us anytime and on any day of the month. Our emergency service most often has us dealing with the fallout of a rough storm that broke many larger branches of a tree (or even broke the tree altogether). Unfortunately, these accidents often mean a lot of property damage as well, which is why we'll help you assess any additional expenses that the storm might have incurred. Other emergencies will have us removing tree branches from very high places or those that are otherwise dangerous (electric wires, for example). 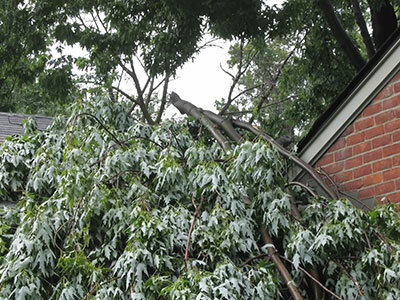 A high branch broken by a wind could fall down at any time and seriously injure you or someone else as well as potentially damaging valuable objects, which is why it should be removed without delay. If you found yourself with a problem that can't wait for a scheduled appointment, we'll treat your case as an emergency and deploy our arborists immediately. Like every service we offer, our emergency interventions can be requested by residential and commercial clients in any part of the wide area that we cover.